This is a sponsored post written by me on behalf of TYLENOL®. All opinions are 100% mine. There’s nothing that I don’t love about Christmas from the food, the songs, the food, and my favorite family traditions. Chances are, your kids won’t remember which year they got a new baby doll or remote control car, but they will remember the traditions and memories they have associated with them. 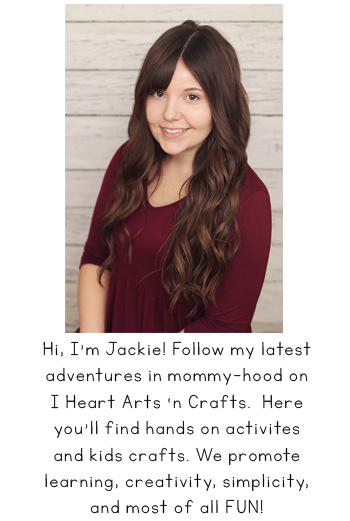 Traditions are so important to me and I think that they are what make the holidays so memorable. Today I’m sharing a collection of our favorite family traditions to help inspire you do to something new this Christmas. 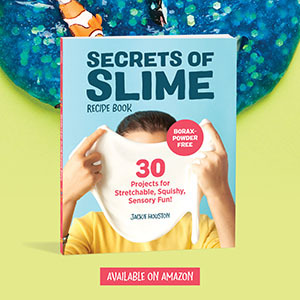 This list is filled with fun, holiday ideas and includes some easy ways to teach the kids how to give back to those in need. 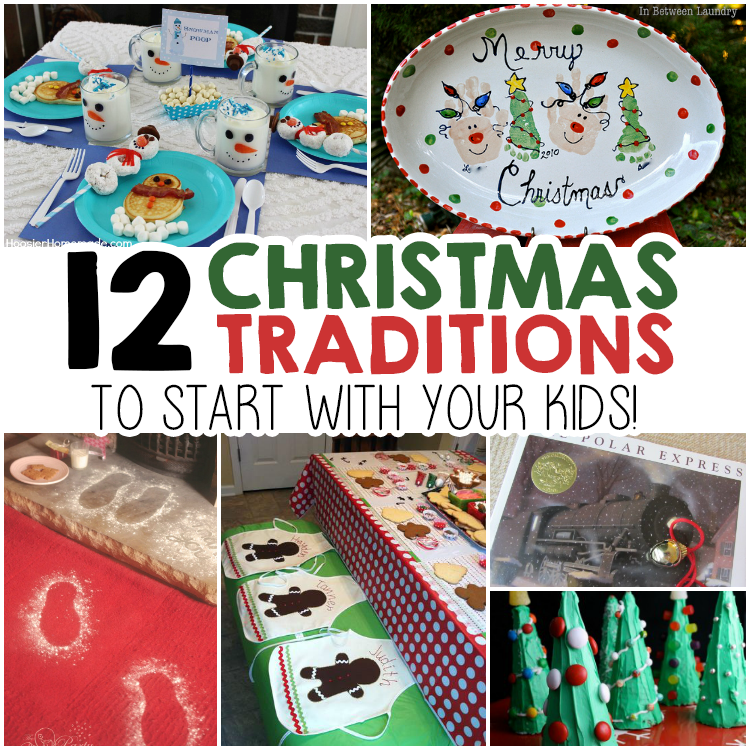 12 Christmas Traditions To Start With Your Kids! 1. Drive around town to see the Christmas lights. 2. Deliver cookies and treats to emergency service men and women. 3. 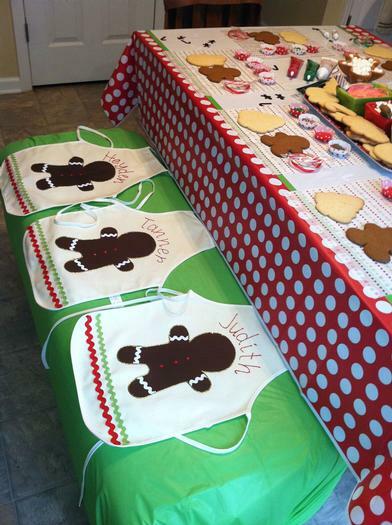 Cookie Decorating Party – The little personalized aprons are such a cute touch! 4. Christmas Book Advent – You wrap up 25 Christmas books and place them underneath the tree. Each day leading up to Christmas, your family gets to unwrap one and you read it as a family together. 5. 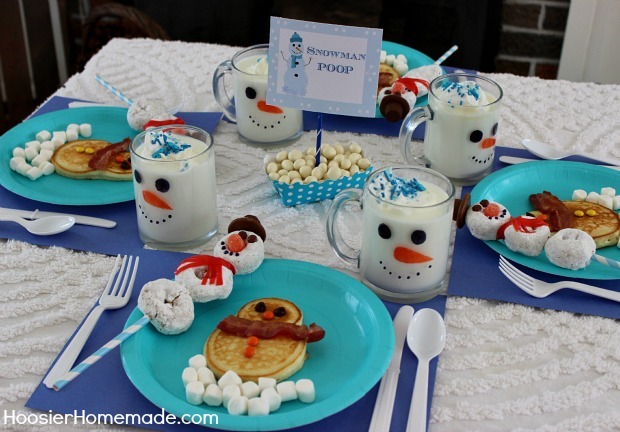 Christmas Themed Breakfast – This is fun to do on Christmas morning after the kids have opened their presents. Or you could even do it the day you decorate the house for Christmas. 6. Kid-Made Ornaments – Each year have the kids create their own ornaments like an easy handprint salt dough ornament like this adorable Santa for example and gift them to the grandparents. 7. 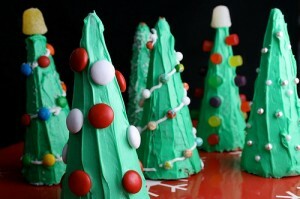 Gingerbread House/Christmas Tree Decorating – If you’re looking for something a little different this year you can use waffle cones for decorating Christmas tress! 8. Children’s Christmas Tree – The kids can have a separate “mini” tree that they can decorate and redecorate. You can also opt for a toddler-safe version like this felt one here. 9. DIY Santa Plates – Have the kids create their own plates for Santa’s cookies. Here are some great ideas here. 10. Polar Express Night – Now you can have any kind of Christmas movie night but this idea from Teach Mama sounds like so much fun and such a great way to make movie night extra special. 11. Santa Footprints – Create these using flour on Christmas Eve to surprise the kids. So cute and easy. 12. Help a Child in Need: If you have small children then you know how much they love to help. They love getting to do things that are normally reserved for grown-ups, and they genuinely love doing things to make other people smile. My husband and I have always said when we had children we wanted to emphasize on the giving and not the receiving. This year is the first year that our oldest really understands what donating to a charity it all about. To get your child involved in giving this holiday season you’ll want a charity that they can relate to, which is why we participated in Toys For Tots at Sam’s Cub. To celebrate all families, the TYLENOL® brand created the How We Family program which believes that family is not about who you love but how. This season TYLENOL® is partnering with Sam’s Club to give back to military families through a donation program to Toys for Tots. 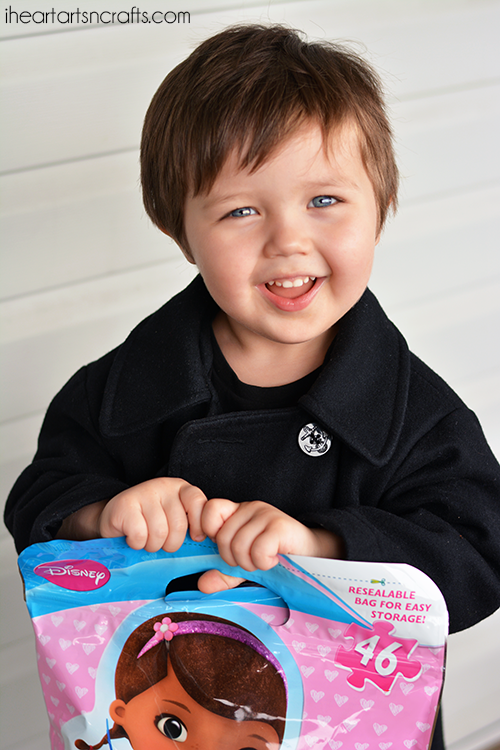 We had Jace pick out a toy that he’d like to give, he picked out something he thought his little sister would like. We went to our local Sam’s Club to drop off the donation. 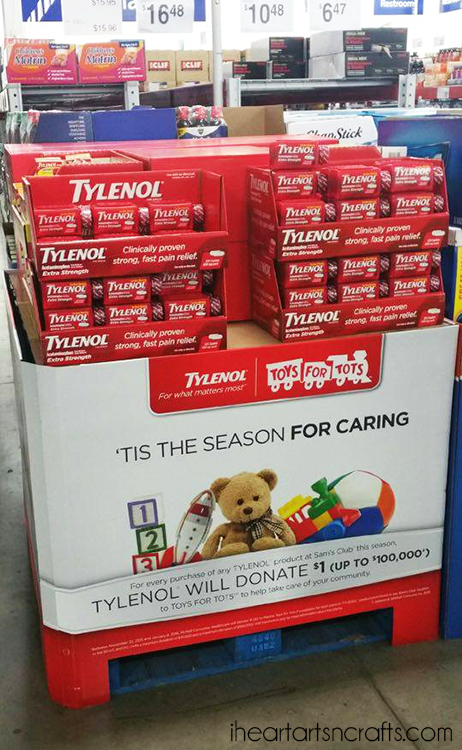 Besides donating a toy you can also help out this holiday season by purchasing a TYLENOL® product. We like to have some on hand at home anyways, so that we’re always prepared! For every TYLENOL® product you purchase at Sam’s Club from November 23 through January 8, $1 will be donated to TOYS FOR TOTS. Take care of your family and TYLENOL® will donate up to $100,000 to help take care of your community. Valid 11/23/15 – 1/8/16 on purchases in 50 U.S./DC; min. $25K; max $100K. Visit toysfortots.org for info about charity. How do you help others this holiday season, or how have you been helped?